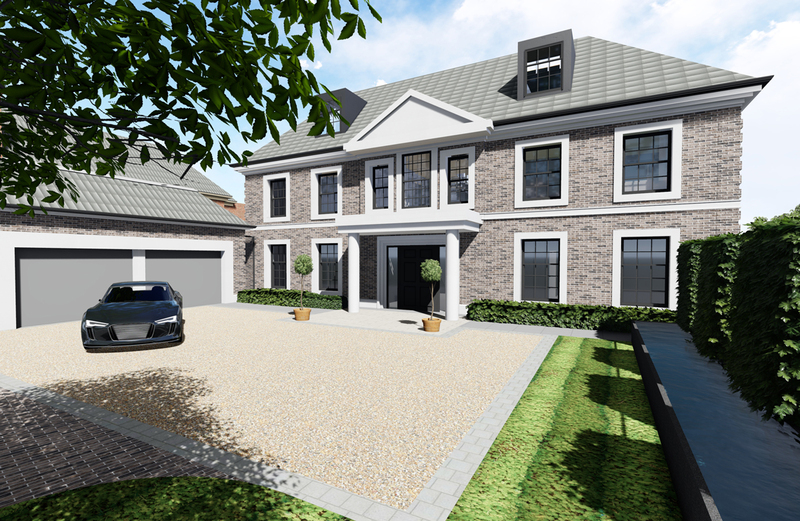 Construction is underway on this luxurious energy efficient 6-bedroom house on a secluded leafy road in Hadley Wood, North London. Set on a sloping site, the property has a the appearance of a traditional two storey mansion from the street, while to the rear the lower ground floor opens onto beautiful landscaped gardens. 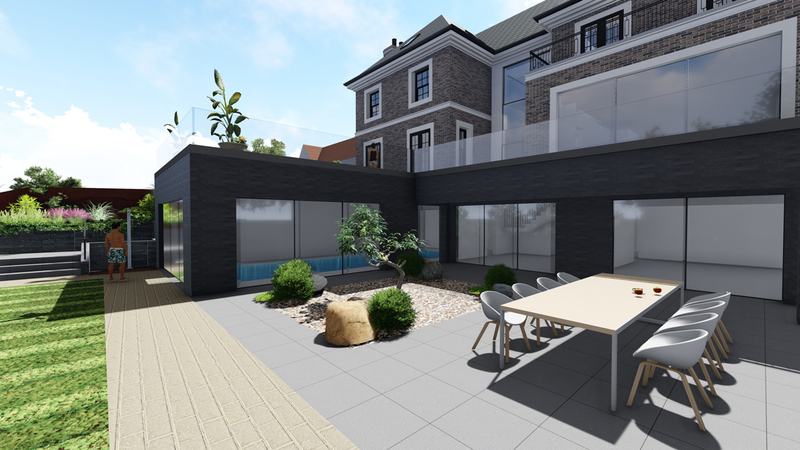 These more contemporary spaces include a heated indoor swimming pool with open connection to the garden, steam room, gym, state of the art cinema and games room. 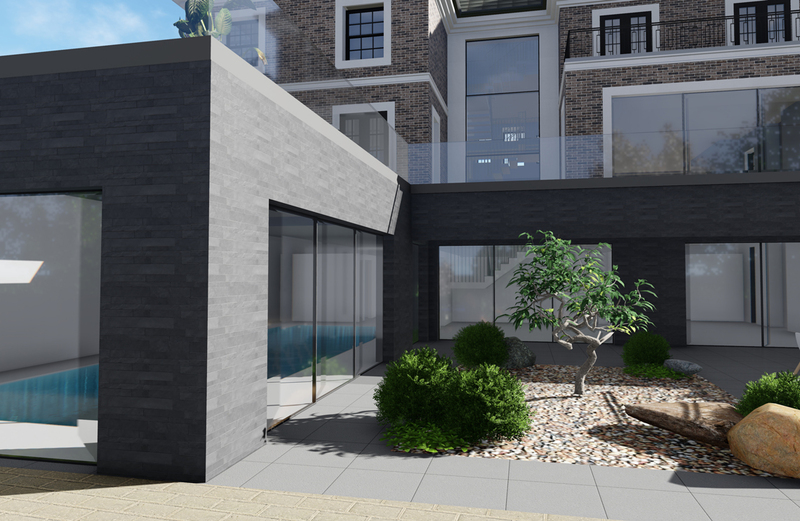 This property will also benefit from an exquisite two storey high guillotine slot window overlooking the terraced garden complete with an expansive entertainment space for guests.